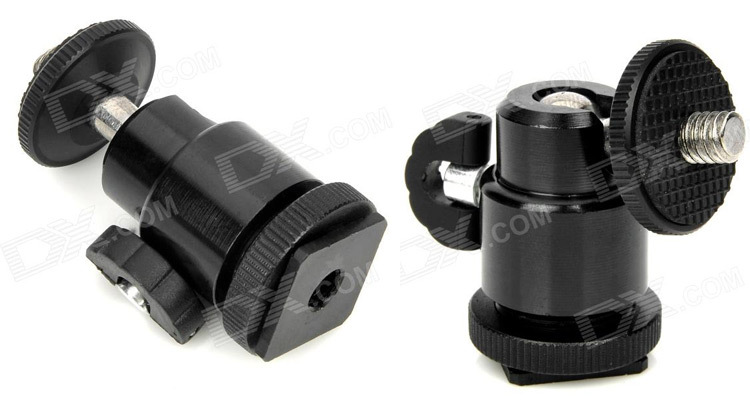 Nice little ball head for your camera's hot shoe mount. All metal mini ball head that was perfect to replace the cheap plastic ones on my Metz Mecalight LED-480 lights. Also great for mounting a microphone or some other things on your DSLR. It's a bit rough, meaning the ball doesn't flow or move as easily as on a much more expensive mini ball head from Manfrotto and others, but what do you expect for this price. This one is cheap and you can feel it so I wouldn't use it on a heavy thing even if it says max load 500g, but it's great for smaller thing like a GoPro, a LED light and things like that. Great for smaller and lighter things, not so great for the heavier things.